The small town of La Nucia lies 10km inland to the north of Benidorm, and in spite of its proximity to the bustling resort, remains a peaceful Spanish enclave with an attractive and well-designed centre and magnificent views of the coastline below. 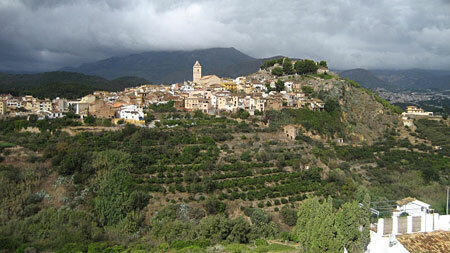 It is only 7km from Altea and nestles against the nearby mountains of Sierra de Aitana. La Nucia enjoys good facilities, including shops, schools and a sports centre as well as a new Arts Centre with auditorium. The town’s Sunday morning second-hand market is one of the most visited on the Costa Blanca. The area surrounding the town has many attractive urbanisations. Browse La Nucia property for sale listings.